I had not been this enthusiastic about Creative Labs since my early days of having a computer. Creative and Sound Blaster had been my main choice when it comes to soundcards and speakers. However, throughout the years it seems that other companies started providing better speaker options and most computers and laptops had a built in sound card. The invite to the Creative Media Launch at Q Bistro, provided me with a new perspective and insight about Creative and renewed my interest in the company and their product line. One of the highlighted product during the presentation was CREATIVE AIRWAVE HD and CREATIVE AIRWAVE. 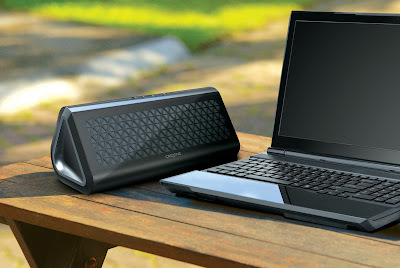 Creative Airwave is a revolutionary design when it comes to speakers. They are triangular in shape and the speakers are facing upwards rather than straight forward. Colors also comes n multiplicity with the Airwave HD in black and red and the Airwave that comes in black, pink, green and blue. What's new with Creative Airwave HD? 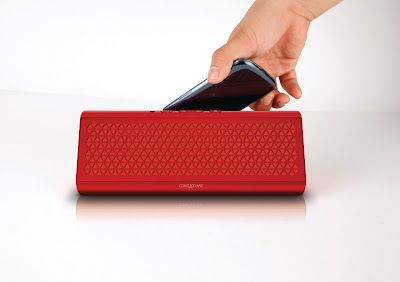 This is the first ever NFC-enabled speaker in the market. By NFC this means that you can just tap your phone to connect to the device and tap again to disconnect. Multi-connection. It enables 2 device to connect simultaneously to the speaker and then you can easily toggle between them. Great HD Audio. 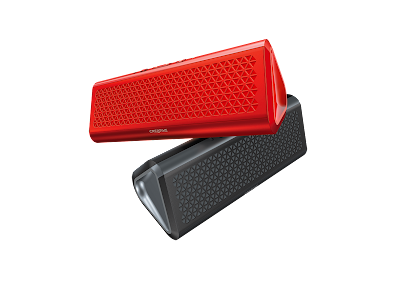 Creative Airwave HD offers the latest audio codec compatibility with aptX and AAC which enables high quality bluetooth streaming and high quality sound. The device also offers a long battery life with the Creative Airwave HD having 7 hours battery life and the Creative Airwave Portable Wireless Speaker with a total of 12 hours. Take note that battery life calculation is based on moderate volume playback. This cool speaker system has a built-in microphone. I even told them that it would be a great way for teachers in the pubic school to use this since it produces HD sound plus it is hassle free. It has bigger sound because of a built-n Super Charged AMP. It's vibration free as well. That means if ever the volume gets too loud you don't need to worry that the device would fall of or move out of its place. So what's the downside of the Creative Airwave? Well, my friend and I both agree on two things: (1) the plastic used at the middle of the device which has the buttons could have been made better and the color scheme for the pink and green seems to be not in tune; and (2) the buttons look a little flimsy, and in some ways you would be worried that you could damage them by pressing too hard. Other than the two problems above, I think Creative had made reality it's new design paradigm shift of "Audio Made Clever." For more features and highlights of this speaker system check out the video below.